An often perused question is: Should I use a Realtor or not? People often underestimate Realtors and their importance in a real estate transaction. On both sides of a deal a real estate professional can be an invaluable asset, helping to keep deals together and run more smoothly. For sellers Realtors are valuable in a number of ways. Realtors know the local market and how to evaluate the price your home should be sold at. A real estate professional will advertise, market and expose your home to other real estate professionals as well as the community at large, not to mention the large customer base that they may already have. A Realtor can help you set your home up for success by helping you present your property in a way that will appeal to potential buyers. Realtors are indispensable when it comes to contracts and making sure each step is carried out to the seller’s best interest. 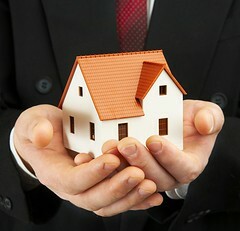 For buyers a real estate broker can be an incredibly helpful tool when looking for real estate. Not only does a competent Realtor know his local real estate market and what is available but he also knows the community, its amenities and all that it has to offer. A Realtor will write a contract when a buyer has found his ideal property and will help the buyer follow through with each step until closing. In a nutshell, Realtors are incredibly helpful in diminishing the stresses involved with buying and/or selling real estate. Contact an experienced Realtor in the area you are thinking of buying or selling property in today.